Most people don't realize, when sending email via Outlook to other people, their email is sent in a plain readable format, so it's reasonably trivial for their emails to be intercepted and read. Outlook does support TLS and SSL encryption, but this only encrypts your email until it leaves the mail server, then it's in the clear again. 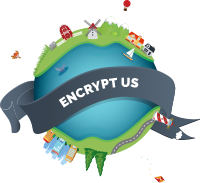 Therefore you should look at encrypting your email from the time it's sent to when your recipient receives it, so no one can read your email in transit.